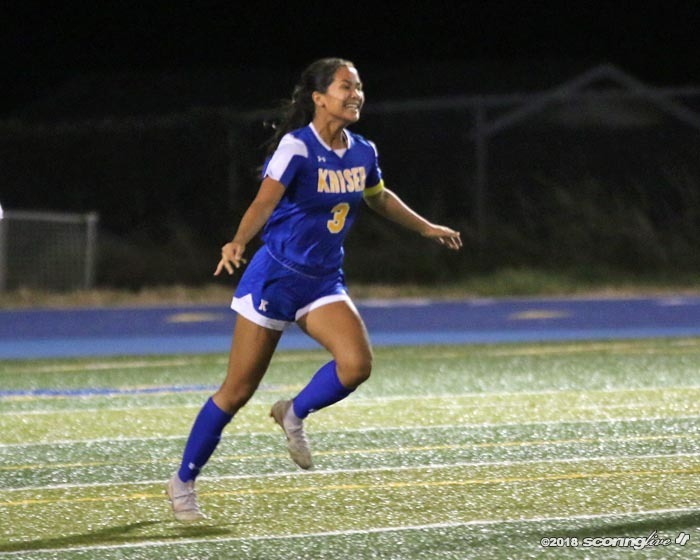 Shaley Mercado scored the only goal of the night to help Kaiser beat visiting Kalani, 1-0, in an OIA East contest Wednesday. The seventh-ranked Cougars picked up their fifth straight shutout win to start the season to improve to 5-0 atop the league standings. The Falcons, who just joined the Hawaiian Electric Girls Soccer Power Rankings this week at No. 10, suffered their first loss of the year and dropped to 5-1.